Every year, amateur and professional chefs across the country pull out the ginormous turkey roasting pans, grab their basters, and get ready for one of the most delicious events of the year known as “the holidays.” The holidays bring about turkey, honey backed ham, yams, mashed potatoes, hot apple cider – the list goes on! Macy’s is famous for their annual events celebrating the holidays (Thanksgiving Day Parade anyone?) 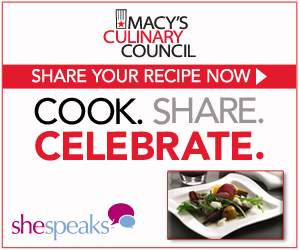 This year, in addition to their parade, Macy’s is having a special recipe contest.If you have a trusted go-to holiday recipe that you prepare every year, now is your chance to win $1000 and have your recipe featured on Food Republic! From November 1 through November 30, you can enter the Macy’s Recipe Share Contest for your opportunity to achieve recipe star-dom. I plan on entering my “world-famous” *cough* salted caramel hot chocolate recipe. If you’ll be entering, leave me a comment so I can keep any eye out for your recipe! Not a chef but still like food? 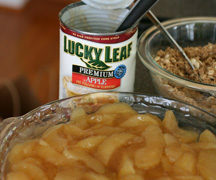 Then you can still visit the page and vote for the yummiest recipes! After entering, make sure you join the Macy’s Recipe Share Twitter party to share your recipe and for more chances to win! 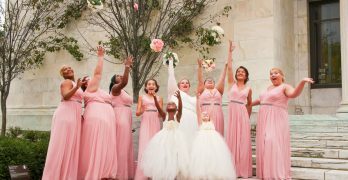 Disclaimer: I was asked by SheSpeaks.com to join the Macy’s campaign. This a sponsored conversation that consists of my (and/or fellow tester) opinions only. Your experiences may be different. best wishes! maybe I should enter my cranberry relish dish, too. I uploaded my recipe and looked for yours, Miriam–I didn’t see it. would share a receipe if i can find it,will get back later..
🙁 oh well, maybe one day I will! I love making new new recipes.